Girl Scout Volunteers ROCK! 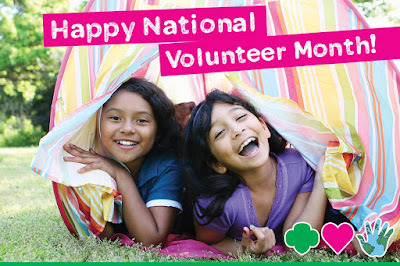 Happy National Volunteer Month! That’s why during this very special month, we’re reaching out to say thank you, thank you, thank you! In case you didn’t already know it, you truly take AWESOME to a whole new level, and we’re so grateful for you. 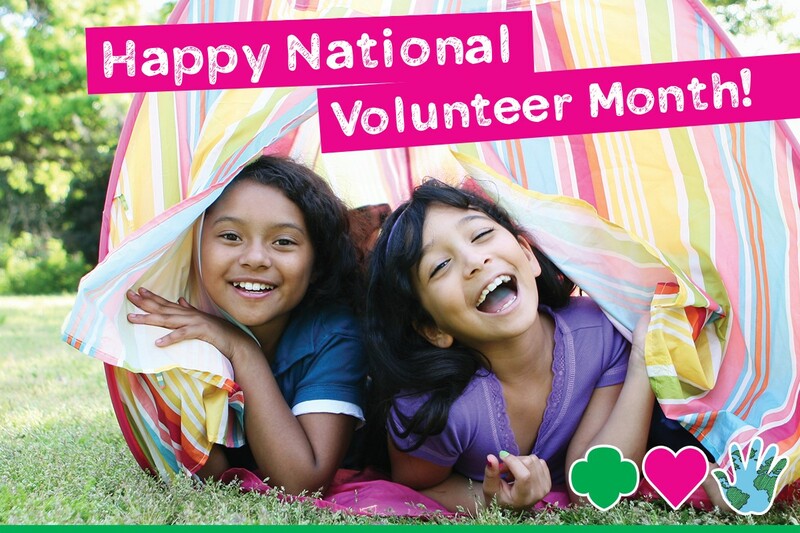 Happy National Volunteer Month and Happy Leader Appreciation Day! You ROCK! Checkout a cool thank-you video made just for you, our very special Girl Scout Volunteers! Showing appreciation for volunteers is a MUST. After all, our volunteers are ah-mazing and should be reminded of it not just this month, but every month! 3. Make a Troop memory book with each girl’s picture, favorite memory, etc. 18. Do something special for Leader Appreciation Day – April 22nd! Labels: Girl Scout Leader Appreciation Day, Girl Scout Volunteers, Volunteer Appreciation, Volunteer Appreciation Day, Volunteer Appreciation Month, Ways to Say "Thank You"
The 2016 Adult Recognitions Awards Ceremony was held on Sunday, March 13, 2016 at LIU Post campus. Five hundred family members, friends, staff, Board members, Troop members and volunteers attended the event. At this event Council distributed over 160 awards for Thanks, Honor, Appreciation, Continuing Service, and our new GSNC Spirit Award. Congratulations to all of our amazing recipients! Congratulations to this year’s top sellers in GSNC’s Mags&Munchies Program. All of the girls were invited, with an adult guest, to the very special (and yummy!) CEO Brunch at The Swan Club in Roslyn on December 5. Girls who sold 50+ subscriptions or 150+ nut/snack items also participated in a fun-tastic “Made in Brooklyn” tour. And, our tippy top sellers, Kimberly from Merrick Troop 2554, Isabella from Massapequa Troop 2185 and Melanie from Bellmore Troop 941, each selected a camera or Kindle for their special reward for selling over 75 subscriptions or over 200 nut/snack items. *Top sellers in their Association, with at least 100 items ordered. GSNC Troops earned over $45,000 in proceeds through the Mags&Munchies program to help their girls do great things early in the year. The following Troops really rocked it, with over $2000 in orders which earned the Troop two cookie aprons and a cookie table runner. The Troops who had over $2500 in orders, also received a cookie costume to add to their cookie marketing program. Great Job to our Booth Sale "Ninja's"
Girl Scouts of Nassau County appreciates the efforts of all of the girls and their families who were “Spotacular” and reached new heights with the Mags&Munchies…and Memories program. We would also like to recognize our dedicated Troop Leaders, Mags&Munchies Troop Managers and the following Mags&Munchies Association Chairs and Volunteers who expertly handled Association training, record keeping and product/reward distribution.